Police tapped into Chicago's vast network of surveillance cameras — and even some homeowners' doorbell cameras — to track down two brothers who later claimed they were paid by "Empire" actor Jussie Smollett to stage an attack on him, the latest example of the city's high-tech approach to public safety. Officers said they reviewed video from more than four dozen cameras to trace the brothers' movements before and after the reported attack, determining where they lived and who they were before arresting them a little more than two weeks later. Smollett reported being beaten up by two men who shouted racist and anti-gay slurs and threw bleach on him. But his story fell apart when Abimbola and Olabinjo Osundairo — bodybuilders and aspiring actors whom Smollett knew from the "Empire" set and the gym — told police that Smollett paid them $3,500 to stage the attack because he was unhappy with his salary and wanted to promote his career. 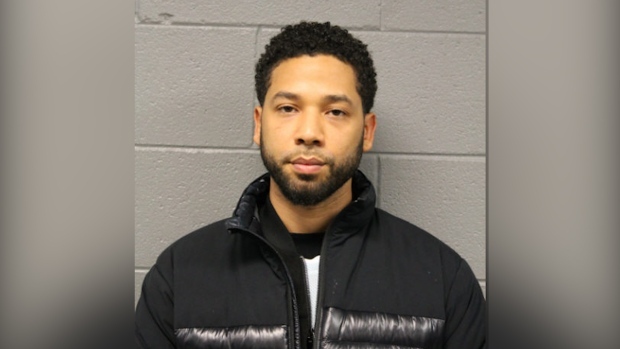 Smollett was arrested Thursday and made his first court appearance. He was later released after posting the required 10 percent of the $100,000 bond. Police Commander Edward Wodnicki, who heads the detective division that led the investigation, credited the camera network but also residents who shared information from their own cameras for helping to solve the case. "That was super useful in this investigation," he said of residents' cooperation. "The city came together to investigate and help the police with this crime." The search went beyond surveillance cameras to include other electronic records. Detectives also reviewed in-car taxi videos, telephone logs, ride-share records and credit card records, according to a summary of the case released by prosecutors. At first, police were puzzled when they could not find footage of the attack, which Smollett said occurred around 2 a.m. on Jan. 29 while he was walking home from a Subway sandwich shop. Chicago has the most extensive video surveillance network in the U.S., with access to more than 32,000 cameras mounted on buildings, poles, train tunnels and buses — and even in businesses and private residences whose owners agree to opt into the system full-time. What's more, authorities can track someone by linking those cameras at a sophisticated emergency command center, police stations or even from tablets in officers' squad cars. 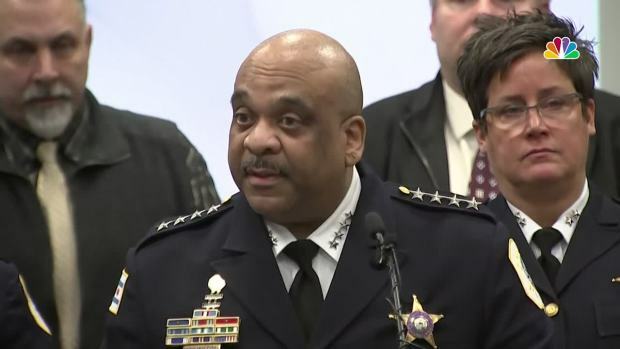 Police say Smollett deliberately staged the attack in a spot where he believed it would be captured on video, but "that particular camera wasn't pointed in that direction," Police Superintendent Eddie Johnson said Thursday. But police soon found footage of two men walking in the area of the attack and interviewed more than 100 people seeking witnesses. Using 35 police cameras and more than 20 private-sector cameras, investigators were able to trace the men's movements after the attack, including footage of them getting into a cab, Wodnicki said. Detectives interviewed the cab driver, got video from inside the vehicle and followed it along a trail of cameras to the city's North Side, where the brothers got out and began walking. The private footage offered by residents included video from cameras embedded in doorbells that showed the men walking, police spokesman Anthony Guglielmi said. After that, police tracked the men's movements "backward to where they came from" before the attack, Wodnicki said — first walking, then to a cab and back to a ride-share car. "That was the lead we needed to identify a person of interest," Wodnicki said. "We were able to put a name to both individuals." Police found out the men had flown to Nigeria the same day as the reported attack and would return on Feb. 13. In the meantime, police executed more than 50 search warrants and subpoenas, including for phone and social media records. 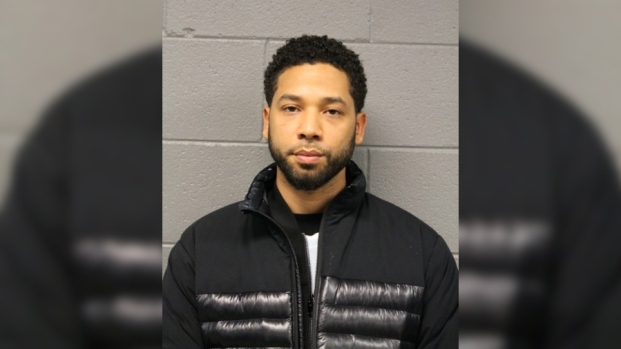 The protracted investigation into "Empire" actor Jussie Smollett's alleged attack ended on Thursday, when Smollett turned himself in to Chicago police after being charged with a felony. Police said Smollett fabricated the attack because he was "dissatisfied" with his salary. The Osundairos were arrested when they got off the plane. Within two days, they were released without charges after detailing the alleged plot orchestrated by Smollett. Although the camera network — which has raised privacy concerns among some civil liberties groups — was key, it was only one part of the investigation, Guglielmi said. "Then they just did the police work," he said. "It was a lot of digging."